The Ohio Young Democrats are excited to host young Democrats from around the country in the Buckeye state. The Young Democrats of America, the largest youth-led partisan political organization in the United States, announced Monday morning that their next conference would be held in Columbus the weekend of March 18-20. If you you would like to help, please contact Jen at housejr@gmail.com. There will be plenty of opportunities for you to get in engaged with Young Dems from across the state and the country. Contact housejr@gmail.com for more information. FCYD will be coordinating shifts for the entire day at the Early Vote Center. Shifts will consist of passing out the Unity Ticket Sample Ballot. There are also phone banks Tuesdays, Wednesday and Thursday of each week from 5pm-8pm at Andy Ginther Campaign HQ-1108 City Park Ave, Columbus, OH 43206 if anyone would like to help out for a few hours. We can always use more volunteers. Phone banking will continue through the primary election support unity ticket candidates and our endorsed candidates for central committee. 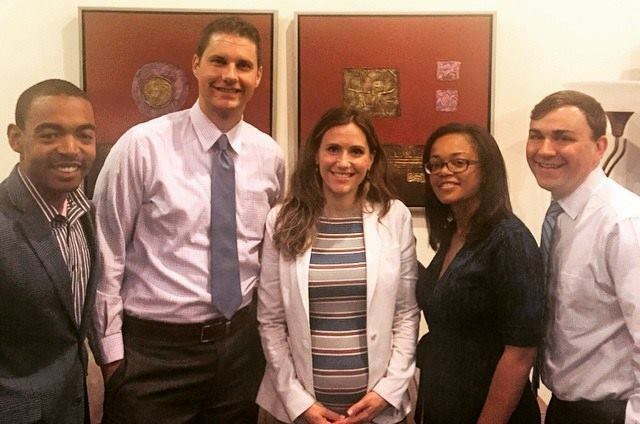 Thank you for all of the support you have given to Andy Ginther, our endorsed Team for Columbus City Council – Zach Klein, Liz Brown, Jaiza Page, Michael Stinziano and Shannon Hardin and all of the other FCYDems endorsed candidates. From canvasses to phone banks to fundraisers and social media support our members have been doing a great job spreading the word about the candidates we need here in Franklin County! I’m writing you today because it’s time to Get Out the Vote and we need your help. Here are three ways to get involved as we round the final stretch! 1. Phone bank with us on Wednesday. FCYDems is hosting a phone bank for the endorsed candidates in Columbus. We’ll be phone banking from Ginther headquarters (1108 City Park Ave (second floor)) from 5-8pm. Stop by – even if it’s just for 15 minutes and make some calls to likely voters. RSVP to me at president@fcydems.com. 2. Talk to voters at the early vote center on Saturday! 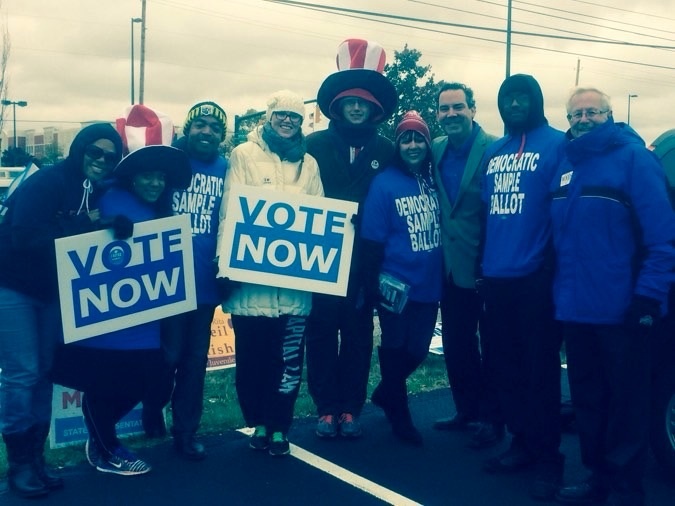 FCYDems has volunteered to distribute Democratic Party sample ballots at Franklin County Board of Elections – Early Vote Center (1700 Morse Road) during early voting on Saturday 10/31. We still need people help during all shifts: 1700 Morse Rd 8AM-11AM, 11AM-1PM and 1PM-4PM. Can you make it? Please RSVP and let me know (president@fcydems.com). 3. Help on Election Day! Poll standing on Election Day, Tuesday, November 3, will be one of the most important programmatic pieces of the entire 2015 Democratic Coordinated Campaign. We need to recruit volunteers to stand at polling locations and hand out Democratic Party sample ballots. Due to the specific nature of these races, this is a powerful vote-winning activity. Each shift begins with reporting to the Ginther HQ at 1108 City Park Ave, 2nd floor, to pick up materials and receive training, then head to the assigned polling location. Here are the shifts. Our priorities are shifts 1, 2, and 4, since those cover the peak times of before work, the lunch hour, and after work. If someone commits to working all day, we will arrange breaks for them at non-peak times. Please contact me or Brendan Kelley at Brendan.L.Kelley@gmail.com to sign up. Finally – GO VOTE! Election Day is Tuesday, November 3. 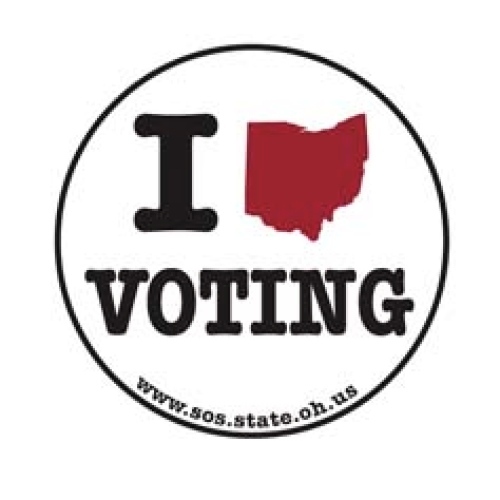 Make sure you have set aside time to go vote (we all know how busy young people can be). If you would rather vote early – there’s still time. The Franklin County Early Vote Center is open all week. On through Friday the center is open from 8:00 a.m. to 7:00 p.m. On Saturday, it is open from 8:00 a.m. to 4:00 p.m. (You can vote before or after your volunteer shift!). The center is also open on Sunday from 1:00 p.m. to 5:00 p.m and Monday from 8:00 a.m. to 2:00 p.m. Thank you for everything that you have done in support of the democrats on the ballot. Our efforts and support have not gone unnoticed. With just one week to go, let’s bring it home for the team! With the election less than two months away FCYD will be hosting a fundraiser for our endorsed Columbus City Council Team on September 29th starting at 5:30PM at Dempsey’s. Attending are FCYD members, Councilman Shannon Hardin, Councilwoman Jaiza Page, Candidate for Council Liz Brown. Join us for our September 2015 FCYDems meeting at 5:45pm on Wednesday, Sept. 23 at the Ohio Democratic Party (340 E. Fulton St.). At the meeting FCYDems members will hear a report from the FCYDems Screening Committee and will make recommendations for FCYDems recommended candidates. We’ll also talk about our fall field/GOTV plan and our upcoming fundraiser for the FCYDems running for Columbus City Council. 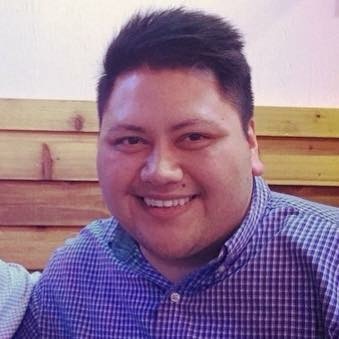 Leo Almeida is a young energetic FCYDems member who has dedicated a large portion of his life advocating for inclusion and participation of underrepresented populations. It wasn’t until February 2009 when this lifelong American was finally able to participate in his own oath of citizenship and officially become an American citizen. The very same day he registered to vote. While an undergraduate student at Bowling Green State University, Leo’s dream of becoming a United States citizen was finally realized. Growing up in Bellevue, OH, a small town in Erie, Huron, Sandusky, and Seneca counties, he witnessed several classmates turn 18 years old without taking advantage of their right to vote. While in college Leo helped organize voter registration drives during the 2008 election cycle. Leo was given a chance to continue his dedication to public service through the Legislative Service Commission Fellowship program at the Ohio Legislature, “it was a great opportunity to dive into government and gain invaluable experiences”. While working in the Ohio Senate, Leo worked for Senator Skindell, Minority Leader Cafaro and Minority Leader Kearny. In December 2013, Leo left the legislature to lead the lieutenant governor candidate’s campaign, coordinating movements for Sharen Neuhardt and learning the intricacies of political engagement and fundraising. After the 2014 election cycle, Leo returned to the Ohio Senate before moving to the Nature Conservancy in Ohio, where he is currently a policy associate. The Nature Conservancy in Ohio is a regional representative of The Nature Conservancy, which promotes clean energy, revitalizing habitats, and preserves land and water through purchase and reconstruction. Leo also Co-Chairs the revitalized Adelante Democrats of Franklin County, which serves as a voice for the Latino Community and will promote, endorse and support democratic candidates. Adelante was previously a force of political engagement for the Latino community of Central Ohio. Adelante offered a seat at the Democratic table for our Latino community including the creation of a Spanish language sample ballot. The need for continued communication and engagement in the Latino community is an example of the forward vision that Leo has processed since his youth. Serving on the Board of Trustees of Community Refugee and Immigration Services (CRIS) Leo understand the issues that plague new American’s attempts to navigate the immigration system because he has lived it. As a first generation Brazilian American Leo is dedicated to the mission of CRIS, “I have been fortunate enough to live an American dream, and I want that for other people”. For those like Leo, who dreamed to participate in our political process, not taking advantage of this most basic right is a rejection of our civil duty. September is National Voter Registration Month; it is our duty to make the process easier to understand and to participate within. Registration remains a great predictor of possible voter turnout and participation. FCYD members, take time this month to register your friends, families, and neighbors. Registering just two more Ohioans can be the difference between a more progressive future, where lifelong Americans, like Leo, can obtain the American dream and help make that dream obtainable for others. We are a diverse group with a common vision, working to elect young Democrats and advance a progressive agenda in Franklin County. From advocacy to fundraising, and from socials to major conventions, as young Democrats we continue to be a driving force within the Democratic party at all levels. Paid for by Franklin County Young Democrats.